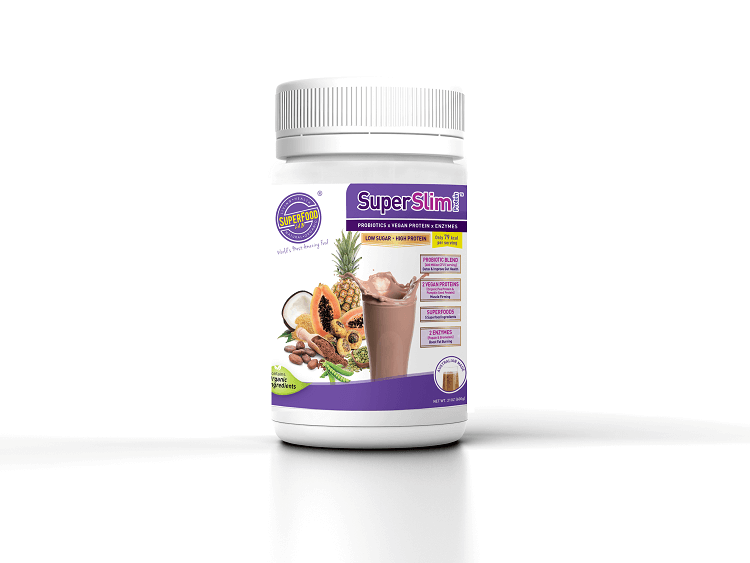 SuperSlim Protein™ is a superior high protein product designed for those who wish to pursue a healthy body weight with muscular definition and firm body shape. 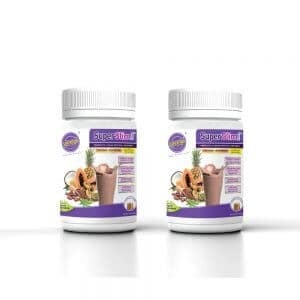 Super Slim Protein is specifically formulated with Superfoods + Probiotic Cultures + Plant Enzymes and Vegan Proteins. This innovative formula is good for enhancing lean muscle growth, boost fat metabolism, probiotic balance, and maintaining a strong immune system. More protein intake can lose more fat and help your body repairs and muscle firming after exercise. Chasing after slimness is no longer your goal, possessing health and energy shall be the milestone to weight management. 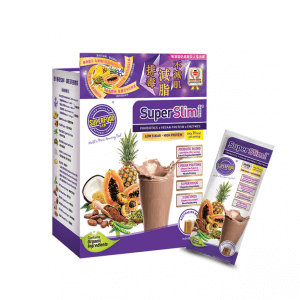 The ingredients of SuperSlim Protein including The Superfood- Organic Raw Cacao Powder. It used a cold pressed technology to save the Enzyme in the Cocoa beans. Cocoa Powder give rich and smooth chocolate flavour to Super Slim ProteinTM, supplying only 79kcal, containing a low fat (1.4g/ serve) and sugar (0.8g/serve) content, most suitable for use pre and post exercise or as a tasty snack to replenish energy and satiety during a busy day. Probiotics (bifidobacterium lactis, bifidobacterium bifidum) can relieve constipation by balancing gut bacteria. Results have proved that probiotics can increase bowel activity by 2-4 times per week, improving intestinal peristalsis, bloating and stomach ache. Bromelain is a protein enzyme digesting meat by disintegrating the polypeptides in the long chain protein into basic unit of amino acids. Amino acids are then readily absorbed by the intestine reducing episodes of indigestion and relieving gassy stomach. There is growing research on the benefits of probiotics and weight management, one of them is by the Virginia Polytechnic Institute. 20 healthy men were recruited to undergo a 4 weeks high fat high energy diet study. 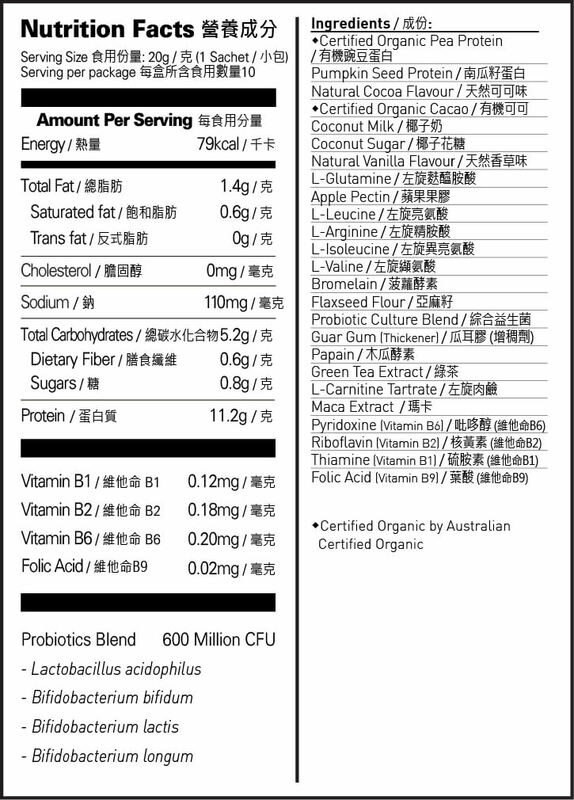 One group took on a probiotic drink (lactobacillus acidophilus / bifidobacterium longum) and another group without. The result showed that both groups gained weight. The group without probiotics had body mass increase of 62% more than the group with probiotics. The increase in body fat was actually 2 times more than the non-probiotics group. Flaxseed known to be high in Omega-3 is good for fat burning, reducing body fat and improving metabolism. DHA2 in Omega-3 has been proved to increase lipase activity within the adipocyte for the breaking down of fat readily available for body utilization. Papain good for breakdown the Neutral Fat and Mast Cell Reducing. Also, the enzyme specifically decomposes lactic acid in muscle and limit the potential of experiencing the effects of DOMS (Delayed onset muscle soreness) after a strenuous exercise. Pea and pumpkin seed protein are less likely to cause allergy compared to milk or seafood. 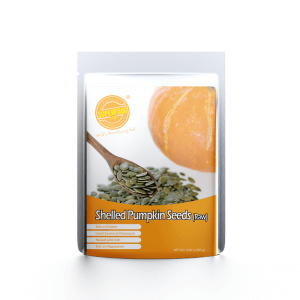 The rich magnesium content in pumpkin seeds helps regulate normal muscle function which through training firms muscles and shape the body up. 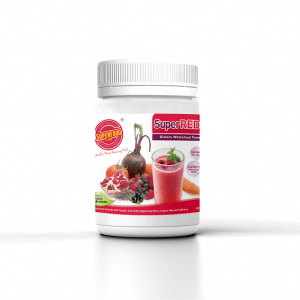 Super Slim Protein has a complete amino acid profile, that affirms muscle growth and repair, lacking in any one of the essential amino acids will hinder tissue development. 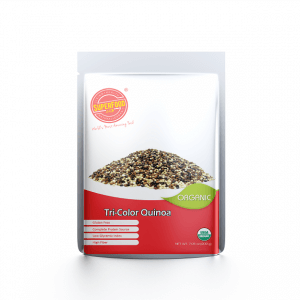 This is especially important for vegans who need complete amino acids as they are the building blocks for functional development and immune system. Having adequate amount of amino acids strengthen muscles, helps energy expenditure and fat utilization, achieving a healthy body shape and wellness. L-carnitine is one of the amino acids that benefits energy by transporting fatty acids and be oxidised to produce fuel. It is a fat-burner and performance supplement that plays a role in energy metabolism and production. It boosts your training and improves recovery. Study showed that green tea extract consume before exercise had significant result on boosting fat burning. The fat burning rate was on average 17% higher in group that consume green tea than the placebo group. Also green tea extract raised insulin sensitivity by 13%, playing an important role in weight loss. Vitamin B helps to turn carbohydrates into glucose and transforming fat and protein into energy, ATP providing us strength during training and exercise. DHA Reduces Fat Storage and Promotes Fat Breakdown J Nutr Biochem. Wang YC, Kuo WH, Chen CY, Lin HY, Wu HT, Liu BH, Chen CH, Mersmann HJ, Chang KJ, Ding ST.
Venables MC, et al. Am J Clin Nutr. 2008. 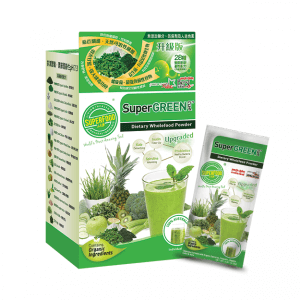 Mix 1 sachet/2 scoops (79kcal) of SuperSlim ProteinTM powder with 250ml water or plant based milk. Shake well for about 10 seconds. Drink immediately after preparation. 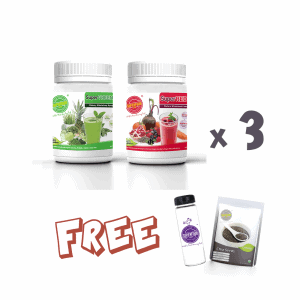 Lose weight & Muscle Firming: Mix 1 sachet / 2 scoops (79kcal) of SuperSlim ProteinTM before meal to control your appetite and reduce caloric intake. Enhance Fat Reduction: Mix 2 sachets / 4 scoops (158 kcal) of SuperSlim Protein to replace 1 meal per day before / after exercise to enhance the effect of weight loss and muscle building. 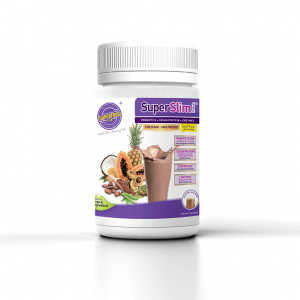 May I know if the SuperSlim Protein is for pregnant and breastfeeding? 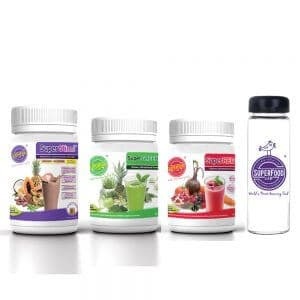 All ingredients of SuperSlim Protein are natural, this should be suitable to everyone. 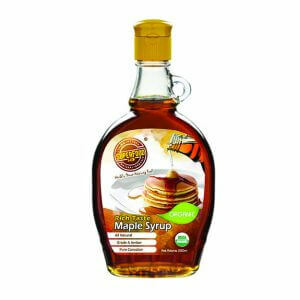 But we would not recommend this product to someone who is pregnant or breastfeeding for meal replacement purpose. Pregnant and breastfeeding ladies should not be trying to restrict calories as they need the nutrients from their food to feed their growing baby. 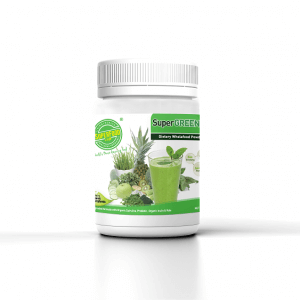 How to take the SuperSilm Protein? Lose weight & Muscle Firming: Mix 1 sachet/2 scoops of SuperSlim ProteinTM before meal to control your appetite and reduce caloric intake. Enhance Fat Reduction: Mix 2 sachets/4 scoops (158 kcal) of SuperSlim Protein to replace 1 meal per day before / after exercise to enhance the effect of weight loss and muscle building. 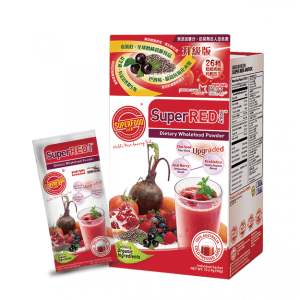 I take SuperGreen pH7.3 and SuperRed Antiox every day, Do I need SuperSlim? 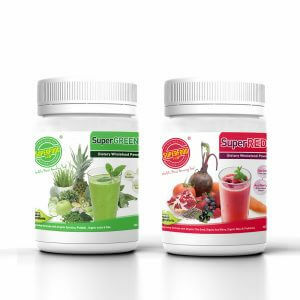 Slim Protein is for you to lose fat and build muscle, it totally different with SuperGreen and SuperRed. How many servings in a bottle pack and sachet pack? 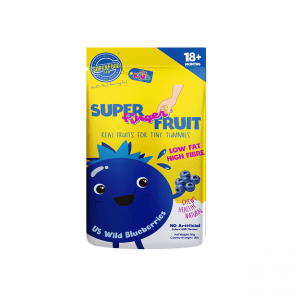 Sachet Pack: 1/per day, including 10 individual Sachets. Where is the origin place of SuperSlim Protein?